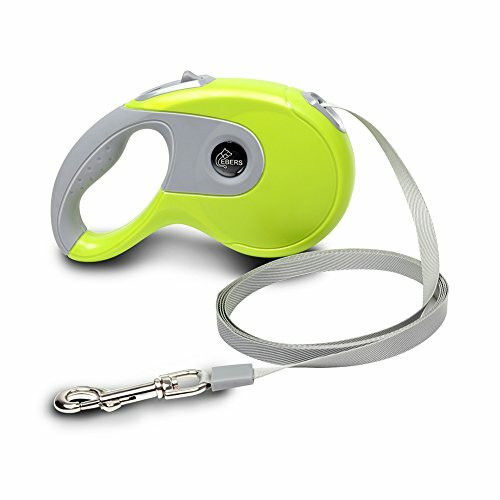 AUTOMATIC RETRACTABLE SYSTEM-One button break & lock system which allows the leash dog leash to be adjusted to a comfortable length as you need,easy to pull back the dog and ensure safety. STRONG&DURABLE-This retractable leash perfect for powerful large dogs, as well as medium sized and smaller dogs under 88 lbs,suitable for dogs of different sizes. RETRACTABLE DOG LEASH-The thick, long nylon dog leash and heavy duty internal spring can extend up to 16 ft which can give your dog full free space under the premise that you can control. HIGH QUALITY-Concave mouth design, smooth stretch, Tangle free and zinc alloy hook. If you have any questions about this product by EBERS, contact us by completing and submitting the form below. If you are looking for a specif part number, please include it with your message.